Sony Xperia acro S is newest smartphone from Sony which has high technology, Android 4.0 smartphone with 4.3" 720p HD scratch resistant mineral glass display powered by Mobile BRAVIA Engine,1.5 Ghz dual core processor and 1GB of RAM make this phone very fast to running on your hand. 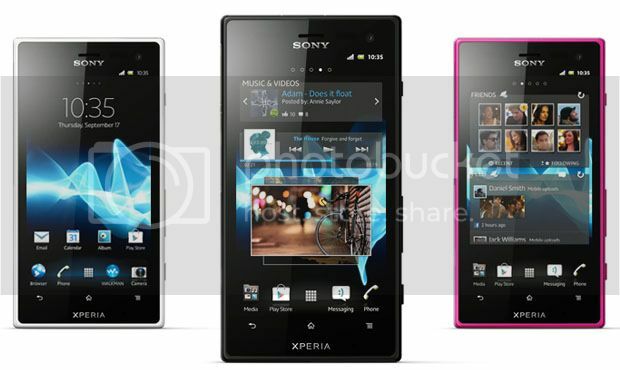 Sony Xperia acro S supported with Sony Entertainment Network features, So ...you have source for digital entertainment. you can enjoying milions of songs form music unlited or download your favorite hit movies from video Unlimited. It's all on Sony Entertainment Network. No trips to the store. No late fees. Just pure entertainment. Enjoy TV show, movie and your own video clips in magnificent HD. View in razor sharp clarity on the 4.3" Reality Display with Mobile BRAVIA Engine. Sony Xperia acro available black and white colour to decorate your day. Learn more Sony Xperia acro S with download Sony Xperia acro S user manual in below and fun life with your Sony Xperia acro S.
Hopefully useful to user Sony Xperia acro S.